Details: The second in his trilogy of Los Angeles boulevard performance/installations, Stephen van Dyck sought to explore the interstitial spaces of the city's longest iconic boulevards by inviting artists to create simultaneous site-specific pieces for a day. 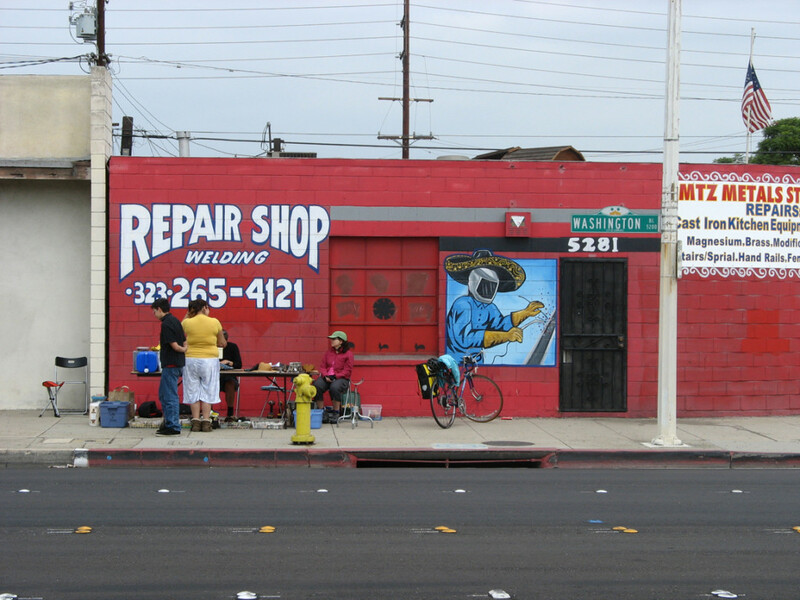 With permission from the shop owner, Hosea Martinez, I set up Repair Shop in front of his welding “Repair Shop” in the industrial east side section in Commerce, CA where I fixed, for free, anything brought to me. While I repaired a smattering of personal objects for the art audience, the majority of my repairs were for the Martinez family themselves. Different family members brought me clothing in need of repair and alteration, and broken household objects. As the day wore on, the school aged son returned with more and more objects for me to fix, and as I repaired them, he sat and our conversation drifted to more personal kinds of wear and attrition. 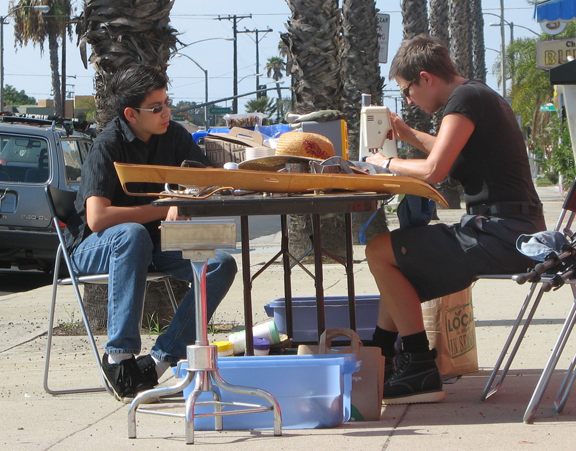 What started out as a focus on material culture and the economy ended in a quietly intense affective exchange.